To update our processes and bring us inline with recent privacy legislation we have updated our membership process to be fully online with the payment methods as BACS or Cheque. To support this our website (olopttc.co.uk) is integrated with Table Tennis England and with that we share login details and your Table Tennis England personal profile. Please note that as with any club associated with Table Tennis England, all of our members are required to be members of Table Tennis England even to play at our club at casual level. A key reason for this is that it provides you with at least basic personal indemnity insurance while you play, further information is available through Table Tennis England member benefits. These are the key steps to becoming an OLOP TTC member, or renewing your membership. If you have played in a league with us before (or just know we have your details) you can go straight to section 2 at the end. Once added we should appear in your list as awaiting approval. Once approved you will now be able to login to our website where this page is (olopttc.co.uk). Under Membership / Types and Fees you will be presented with the relevant subscriptions available to you with a Buy button and some instructions for BACS or Cheque payments. If you miss the details, BACS is Lloyds Bank 30-96-96 / Acc 03061601. Cheques payable to OLOP TTC. 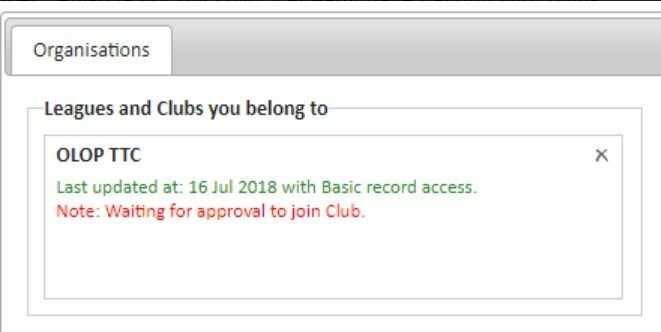 Once bought you are eligible for practicing and club benefits.